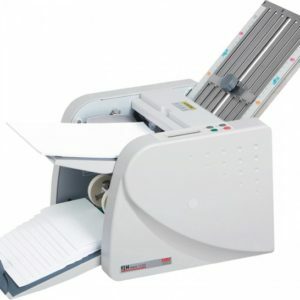 MBM Simplimatic - Roberts Business Machines, Inc. 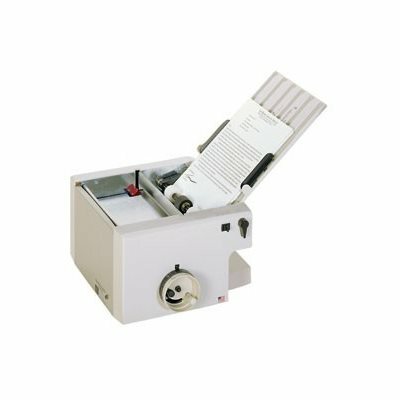 The Simplimatic manual table top folder has a compact size (feed table folds in for storage). Dial selector for easy setting of standard or custom folds. 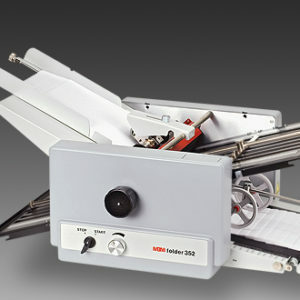 Automatic feed of single sheets or manual feed of up to 3 stapled sheets (up to 20 lb. bond). 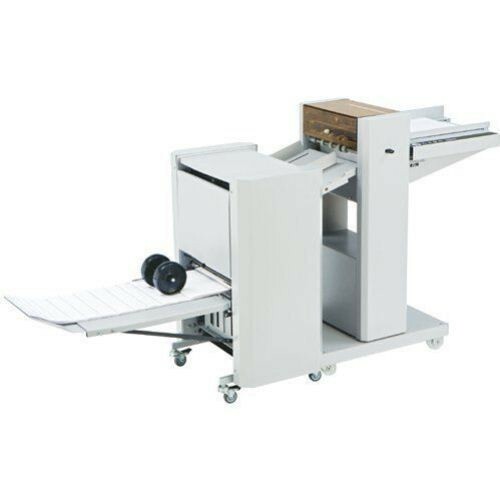 No separator to set for variations in paper thickness Fully enclosed fold plates for quiet operation. Low-maintenance snap-out roller cartridge. Anti-static strip for high static environments and carbon-less paper. UL and C UL approved. 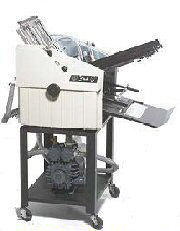 Speed: up to 8,400 sheets/hr.